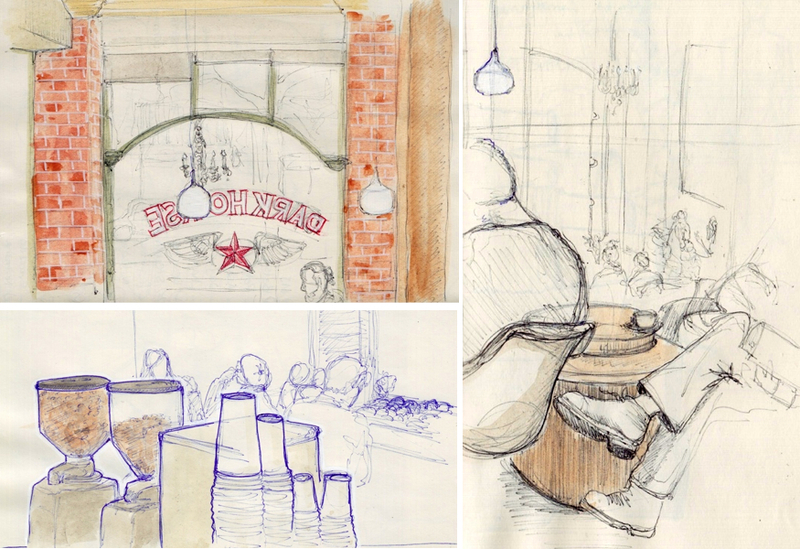 We had a another great turnout for our sketching event at the Dark Horse Espresso Bar on Saturday. Our group essentially took over half of the mezzanine and had a great view of the place. It's a nice coffee shop with large tables on the main floor and a cozy lounge on the mezzanine behind the counter. The large windows immediately caught my eye. They make the space look nice and bright. The coffee shop was full. It seems like it's a popular spot. The staff seemed to be going non stop. It's a great place to hang out. I would definitely go back there again.